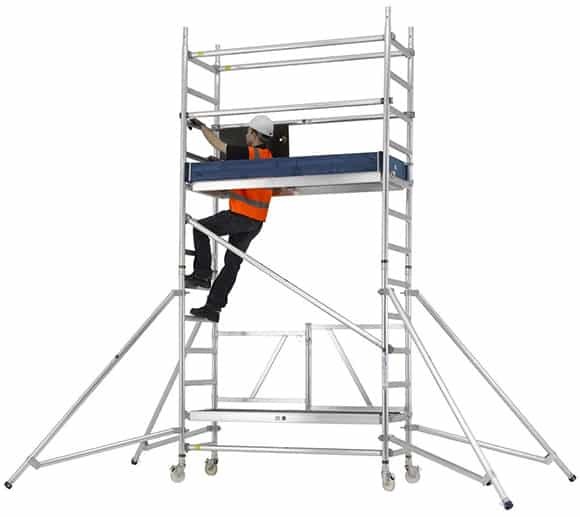 Highest quality scaffold tower hire from just £30+VAT per week. Call now on 0844 774 1112 to get a great rate for your project and a guaranteed delivery Nationwide. But don’t take our word for it, we have over 70 customer reviews on file. Here are 3 of the recent ones! There are many different applications when using for this versatile equipment. For example, some customers are using the stock to access a chimney stack. This work requires a working at height solution that protects you from slipping of the roof. Because our staff have been industry trained they can professionally advise you before you start your project. Call Now – 0844 774 1112 for reliable scaffolding tower or send us a message from the form to the right.